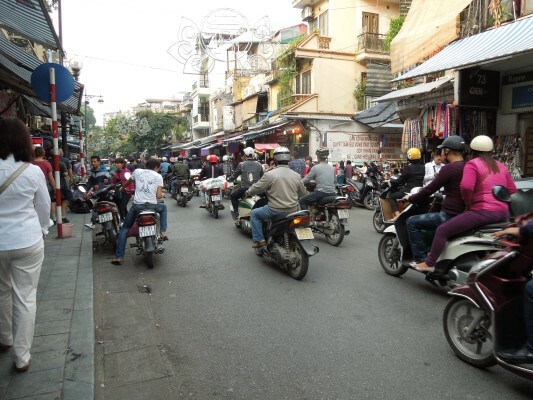 Here are some facts you may not know: there are seven million people living in Hanoi. Of these, four million have motorbikes. I believe I saw most of them in one day. And the drivers operate them as though there was no other traffic, either vehicular or pedestrian. They do not yield to anyone. Good luck crossing the street. They park on every sidewalk. You have to walk in the street in order to avoid them, a hair-raising experience as, at any moment, you might get side-swiped by one of them. Our guide says that after a few months, you get used to this. 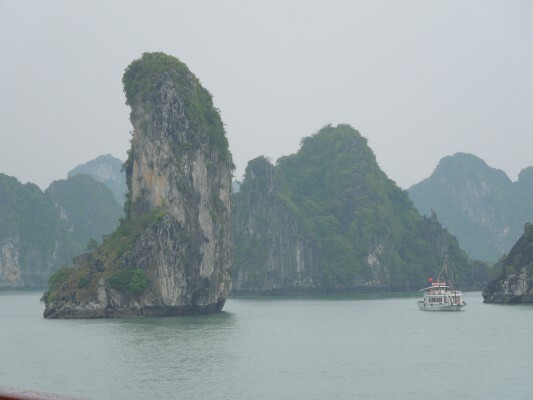 Ah, now, Halong Bay is another story entirely. 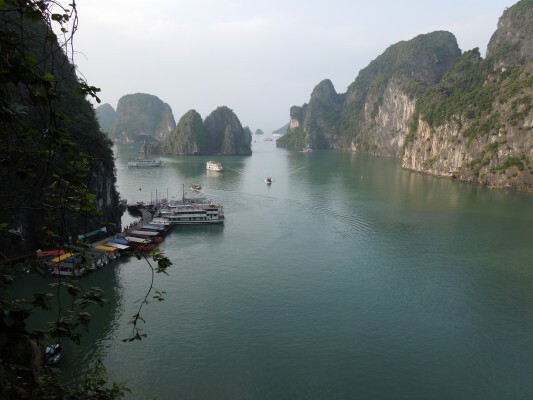 A UNESCO World Heritage site, Halong Bay is located about three hours northeast of Hanoi. Three hundred sixty hectares in size, it has nineteen hundred and sixty-eight limestone islands or karsts of varying sizes and shapes rising straight up from the Bay, a very dramatic sight! Gently moving amongst and between them on a Vietnamese junk and by kayak is magical. Doing tai chi on the boat deck just after sunrise is an experience I won’t soon forget. Back in Hanoi, I begin my day at six in the morning with a laughing yoga class on a downtown street. There must have been fifty or more laughing yogis, led by a charismatic teacher who had us doing the funniest movements with much laughter. It looked to me as though half were tourists and half local people. What a wonderful way to begin the day! And such a model for intercultural relationships. If everyone started their day with laughing yoga, there would be a lot less conflict in the world and a realization that we have more in common with each other than we have differences. The day continues with a visit to the home and workplace of Ho Chi Minh, the revered former leader of South Vietnam, and finally, to the “Hanoi Hilton,” a prison whose actual name is Hoa Lo. It was built by the French in 1896 to house political prisoners and then used by the North Vietnamese to house, torture and interrogate captured American POWs during the Vietnam War (called the American War in Vietnam). How strange it is to be a tourist in this now lovely place, long-associated with war and marches on Washington.